Sim Shalom the E- Synagogue, will expand its musical online Shabbat services to offerSaturday morning services June 4 & 18 for its global community. "This gives us one more opportunity during the week to connect to one another and ourJewish selves! Rabbi Diane has a lovely voice and presence online. Thank you!" Sim Shalom the E- Synagogue, will expand its musical online Shabbat services to offer Saturday morning services June 4 & 18 for its global community. Rabbi Diane Rose, based in Los Angeles, will lead the celebratory welcoming ritual at 8:30 Pacific Time (11:30 EST ). The new Saturday morning free service will blend the deep tradition of Shabbat music and prayer with a modern interpretation and the accessibility of the world's only virtual interactive synagogue, Sim Shalom. Congregants of all affiliations and tenets can participate simply by clicking on their computer, iPad or mobile device anywhere in the world with wifi. A live chat feature threads particpants making the service and community intimate and global. 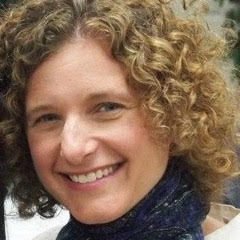 It is fitting that Rabbi Rose will lead the inaugural morning programs, her path too was forward thinking as she gravitated towards her core of Jewish life experience. Focusing on the meaningful center of each word and truth in Torah, in teachings by Rabbis, Cantors, writers and teachers who were Reform, Renewal, Conservative, Orthodox, even, helped open Rose's eyes to see Judaism and spirituality in a pluralistic way. Rabbi Rose shared, "What feels honest and true to me is synthesizing all of these disparate sources. I soaked up incredible lessons from each, found I could apply them to my life, and am excited about sharing those discoveries with others through words and music." Her first Shabbat morning service on May 18th was met with resounding applause from the already committed online Sim Shalom virtual community. "This gives us one more opportunity during the week to connect to one another and our Jewish selves! Rabbi Diane has a lovely voice and presence online. Thank you!" notes one grateful Sim Shalomer. Rabbi Diane is the spiritual leader of the Congregation Kehilah Sababah - the cool shul! and a member of the UJUC - Union of Jewish Universalist Communities.